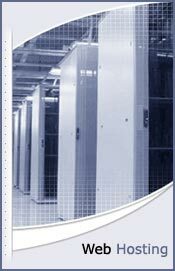 Njserve.coms wide range of hosting options will allow you to get what you need now and later as your life or business changes. Whether you want to share news and pictures with family or build your web presence for your organization or small business, NJSERVE has affordable choices to get you started with your own web site. If you already know your way around the web and are just looking for a place to call home, NJSERVE has the resources you need to take control of one or many web sites. Theres no denying the power of getting your business online. Whether you just need to take a few orders or operate a large online catalog, NJSERVE has the technology and tools to make it easy and profitable. No matter which web hosting solution you choose, your web site will have the fastest connections to the Internet and youll have the support of our technical service staff 24 hours a day. See all hosting plans here. Netsperience (a divison of Njserve ) is your One-Stop solution for web design and web hosting. With this winning partnership you get the most comfort and the best value for your money. We will build, maintain, and provide technical support for your site. Njserve's motto is "Dynamics With Style." This motto reflects our design philosophy, which holds that a dynamic site can be beautiful, highly effective, and functional at the same time. Our designers utilize proprietary compression techniques and optimized palettes to create rich, striking graphics that are quick to download. Our HTML designers understand the strengths and weaknesses of the major browsers, and they apply this expertise to assure that our web sites look great in any browser. Our programmers create interactivity for client web sites using the latest in programming techniques to add life to the site and to increase traffic. The success of our numerous award winning web sites and interactive-media projects are indicative of our dedication to creating peak performance websites. Dynamic catalogs, shopping carts, merchant accounts,third party processors,gateways,order forms it can be mass confusion for the small business owner to get started. NJSERVE is highly experienced developing and supporting E-Commerce-enabled sites from end to end. The only thing you need to understand is your company. We build , support and manage your online store for you. All you do is handle your customers. Netsperience can build a web-based interface that will give you complete, real-time control over all aspects on your online store that are integral to your business, such as making price changes, placing items on sale, charging sales tax and shipping. You know your products and your audience. Netsperience knows eCommerce and online business. Thats the right partnership. Need to get in the search engines? Don't want to spend a forturne to do it? Try Sitespanner.com submit unlimited sites for $12.99 a year..